This original black toner cartridge is designed for use in the HP Colour LaserJet 2035 and 2055 printer to give you trouble-free printing with consistent results and long-lasting quality. Using original HP toners and printers ensures the maximum compatibility, quality and reliability possible. The toner provides consistently high-quality prints for its lifetime which should be up to 2500 A4 pages at a 5% coverage. 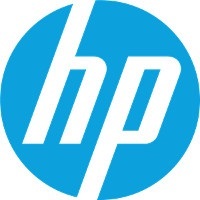 For shipping to other EU countries visit this page HP CE505A Black. Chcete doručit zboží do Česka? Prohlédněte si HP CE505A č. 05A černý. Chcete doručiť tovar na Slovensko? Prezrite si HP CE505A čierny. Magyarországra történő kiszállításért tekintse meg ezt a termékoldalt: HP CE505A fekete.